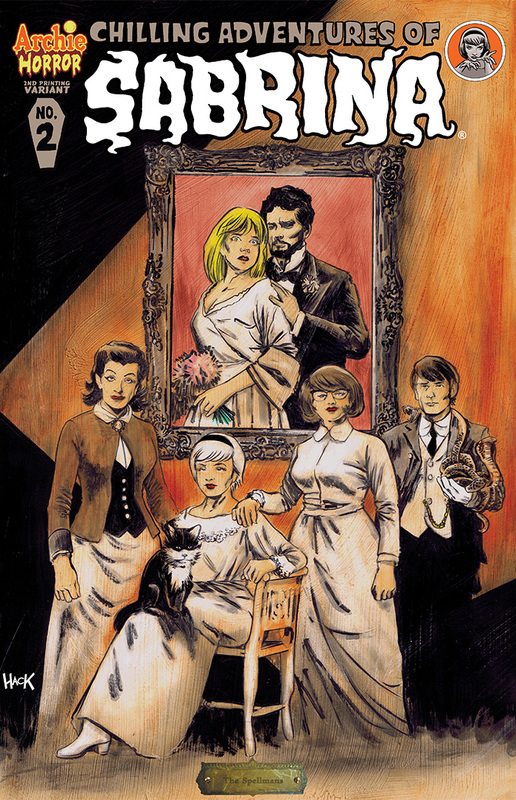 Get the Chilling Adventures of Sabrina #2 2nd Printing Variant on 5/20! Did you miss out on CHILLING ADVENTURES OF SABRINA #2 at your local comic shop? Grab the second printing featuring a spooky new cover of the Spellman family by series artist Robert Hack on May 20th! To find CHILLING ADVENTURES OF SABRINA at a comic book store near you, use the Comic Shop Locator Service or order online from the Archie Comics Online Store! Don’t miss issue #3 when it hits stores on 5/27!